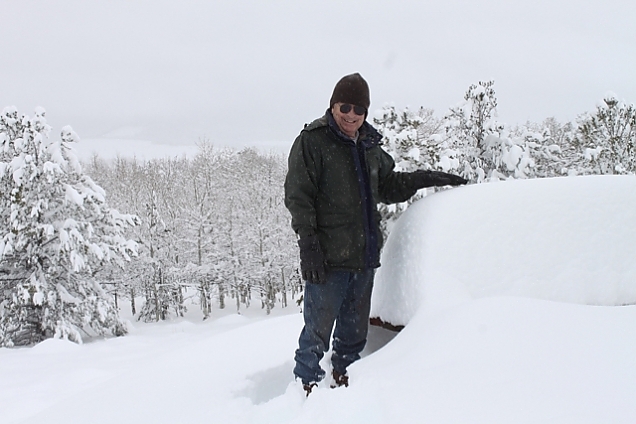 The official weather station at the "Four Corners" along the Laramie River basin is reporting 52" of snow. 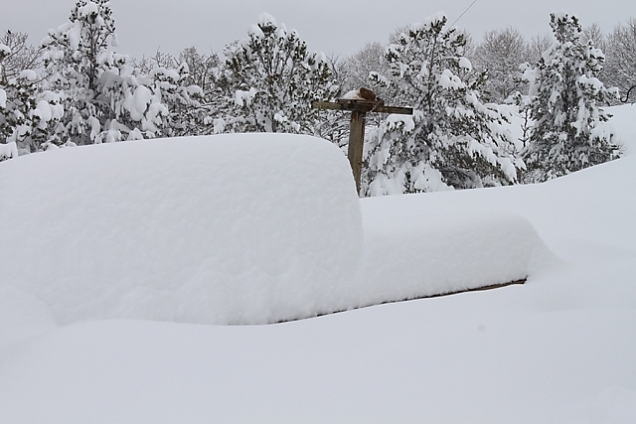 Here is our neighbor's picnic table, so the snow is to the top of it, even after melting some. So, maybe 40" or so? Thanks to Debra for the photos! It will be in the high 70s today in NJ, and we are going to take the convertible out for a drive and lunch having done our morning chores.